HIGH TORQUE CLOCK MOVEMENTS are Compact Yet VERY Powerful. They are able to drive EXTRA LONG HANDS for LARGE CLOCKS Up To 24" In Diameter. HANDS & WALL MOUNTING CASE are included. 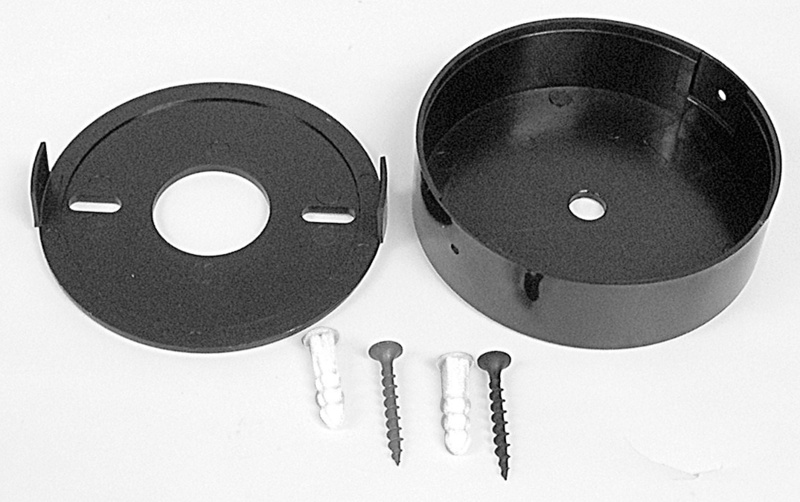 Movement mounts inside Wall Mounting Case via the Center Shaft Using Mounting Hardware that�s included. 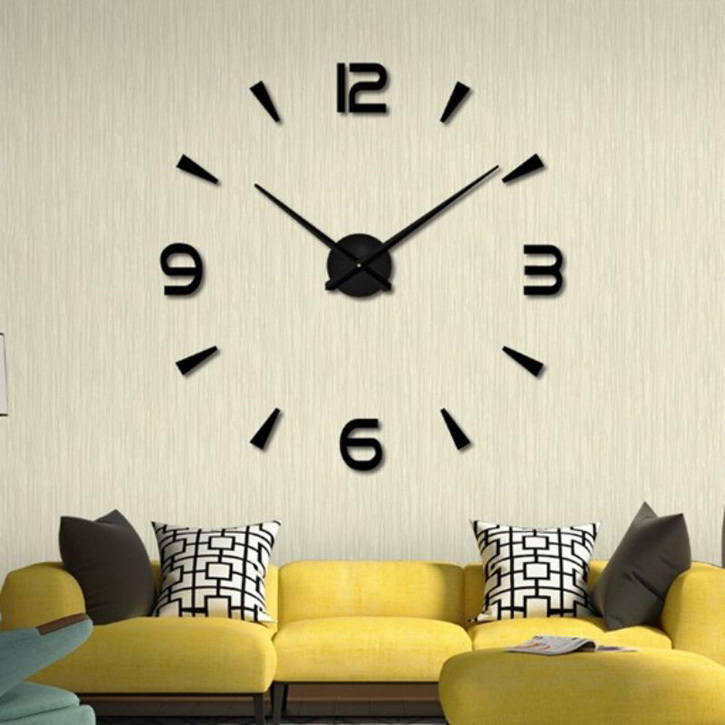 Ideal for Oversize wall clocks with separate numerals mounted to the wall. A) Clock Movement includes Wall Mounting Case and mounting hardware. Style 1 CLASSIC HANDS are satin black metal 7"L Minute and 5-1/8"L Hour). 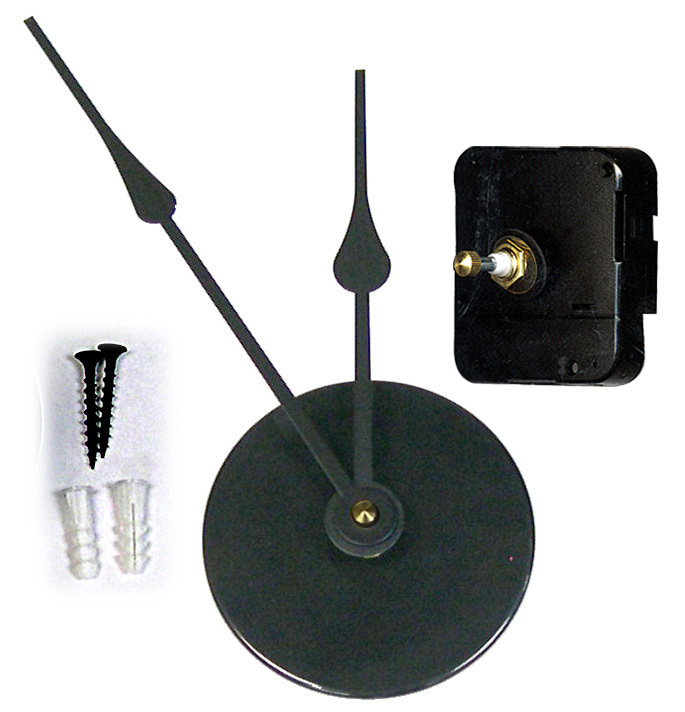 B) Clock Movement includes Wall Mounting Case and mounting hardware. Style 2 CLASSIC HANDS are satin black metal 12"L Minute and 9"L Hour). C) SMART CLOCK Automatically Adjusts To Seasonal Time Changes. Includes Wall Mounting Case and mounting hardware. High Torque Mov�t has Style 1 Classic Black Metal Hands (7"M & 5-1/8"L Hour). Wall Mounting Case is ideal for surface-mounting Compact, High Torque and Self-Adjusting Clock Mechanisms. Mounting hardware included. 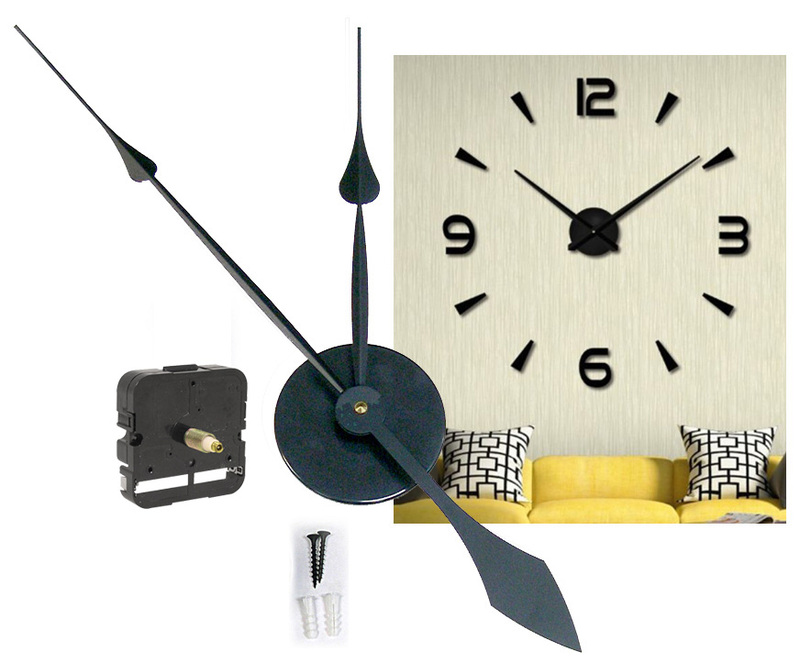 Ideal Clock Movements for oversize clock projects with separate wall-mounted clock numerals. (D) INSTALLATION INSTRUCTIONS - Click here. 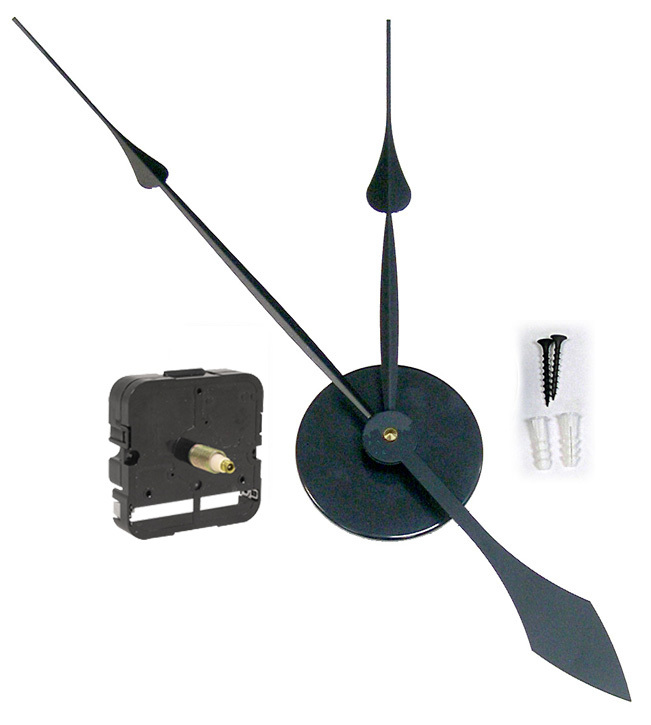 Clock Movements with Extra Long Hands and Metal Mounting Bracket are also available.